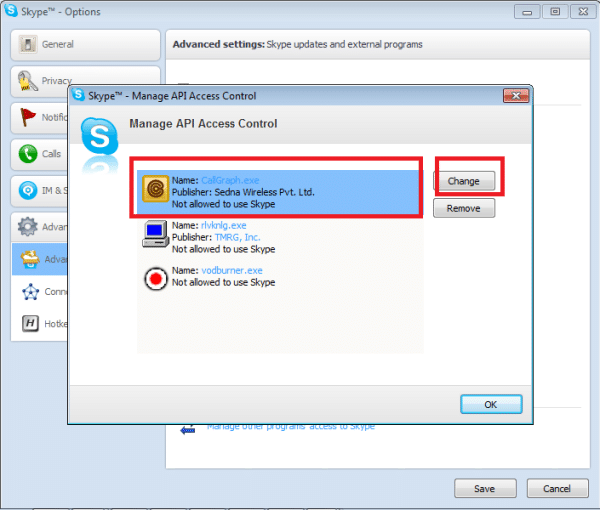 Skype is a communication tool used for making online calls both video and audio. It also sends short messages online. However, this tool lacks the ability to record conversations in whichever format. If you have at one time wished to record your Skype audio conversations and failed to get a way to make it happen, then worry no more, Call Graph Skype recorder is here to help you record Skype calls whenever you need to do so. Apart from just recording calls, this tool also helps you index your recordings for easy search and tracking in the later days. Is this not awesome? As if it’s not enough, Call Graph is a one of Best Skype Recorder for Windows whether you are using Windows Vista, Windows XP, Window 7, Window 8 or Windows 10. Either way you will be sorted free of charge. 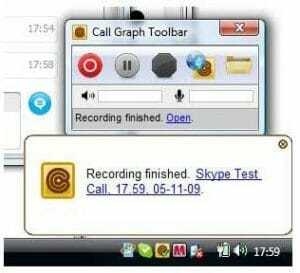 The Call Graph Skype Recorder enables you to record audio calls and save them for later date reference. It will also enable you to record the calls automatically. With a Call Graph Skype Recorder, it becomes easy to manage your calls. It makes it possible for you to view the timeline of your records, duration of the calls and so on. This recording software also makes it possible for you to store and search from the records and even share them online. With the Call Graph Recorder, it is possible to record podcast or interviews or even lessons with a lot of ease. The Call Graph recorder takes longer time to compute. The success of using this tool is also dependent on the space you have in your computer or device. You will really need a good space to store the calls. The software only records audio and not video calls. 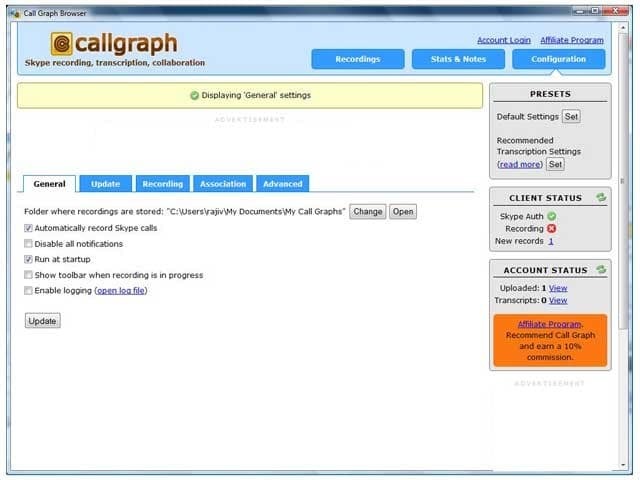 The CallGraph enables you to record Skype calls in MP3 and WAV formats. It is easy to record and this application gives you all the simplicity when using it. The first step is to get on the internet and download it free of charge but as a trial version. You can begin by searching it literally on your search engine ‘Call Graph Skype recorder’ and you will see a pool of option from which you can select any. After you have done this, try to locate the task bar CallGraph icon. This task bar shows that the application is ready to start recording. To begin recording, you can press the ‘record’ button which is indicated by red. Once you click on that button, the recording will begin immediately. You can halt the recording by pressing the ‘pause’ button or just abort the recording process by pressing the ‘stop’ button. When you click stop, the tool will pop up to indicate it is through with the recording. At this point, you can click the above finished recording to listen or just save. You can decide to save to your preferred folder for future reference. To configure, you can simply go back to the ‘options’ key or right click to display the options, then you can adjust the settings according to your own prescription. If you have a general business which requires Skype recording, Call Graph is what you need for stable and excellent results in all of your Skype recordings. 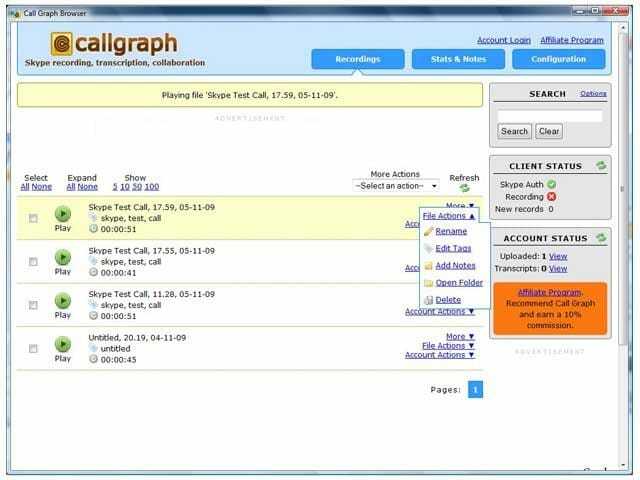 If you wish to have your recordings transcribed and turned to text, Call Graph for Skype will serve this purpose better. Get it for a free trial or just pay for the premium version and enjoy its services.